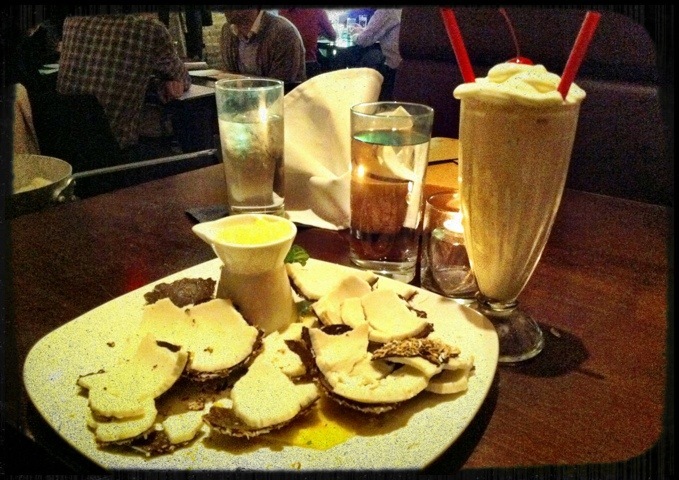 Snapshot: dry ice milk shake at Ann Arbor’s Vinology! | Clover Eats! I really love the decorations at Vinology, especially this broken tree piece. 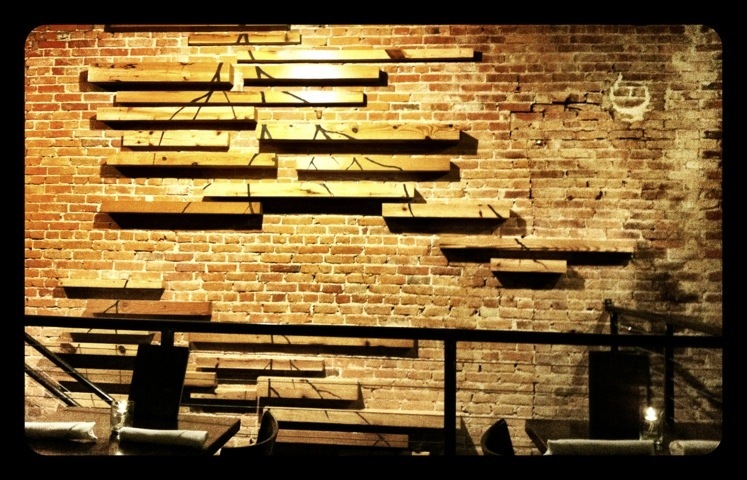 I like the pieces of wood against a brick background, and I like how it descends over the stairs. If only I could decorate my apartment without worrying about dismantling or damaging the property! 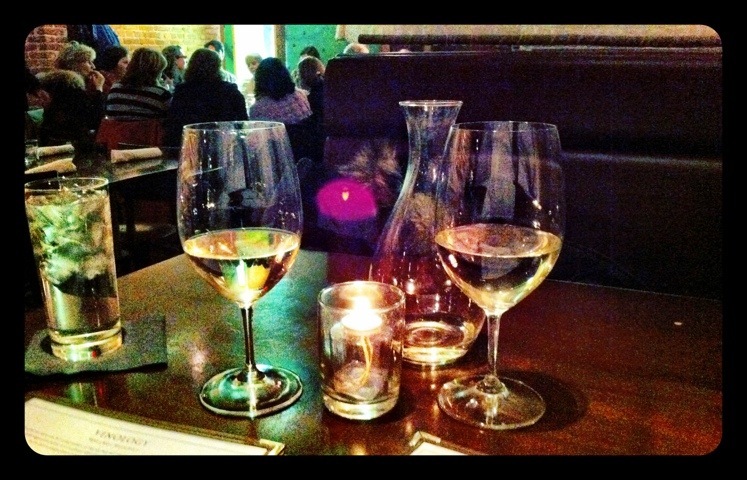 We ordered a carafe of Riesling to share, and it was sweet and delicious! Sorry for the low quality of the photos; they were taken with the iPhone rather than the Rebel XTi. I’m really looking forward to exploring Vinology’s wine list, which was quite extensive! Last time, we sat next to a party which ordered the cheese tray, and it looked so good we had to try it out! I love varied platters like this, though all the cheeses were a little too salty for my taste. Dinner itself was savory, as always, but my favorite part was dessert! I ordered the “Castaway,” after reading about it on The Food and Wine Hedonist – basically, it’s frozen coconut dipped in chocolate and nuts, and it comes out looking like a coconut! It gets cracked with a chisel and a mallet right next to your table, which is really fun to watch. We also ordered a “dry ice milkshake,” which is whipped up also right next to your table. Delicious! 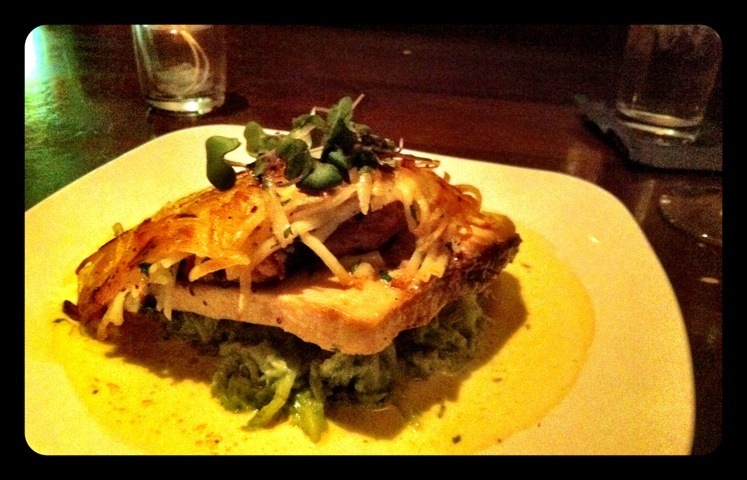 Check out Vinology on Yelp or its official website! 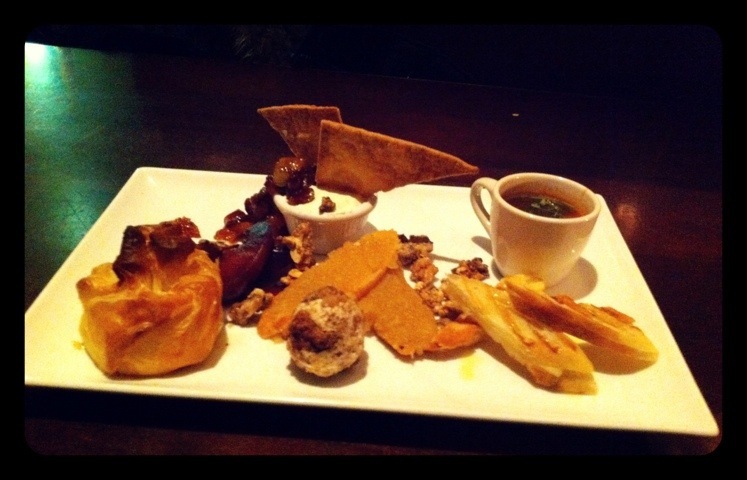 Pingback: Restaurant week: Vinology! « Clover Eats!